Go window shopping in the largest downtown square in America, try your luck at hooking a catfish in a scenic North Texas lake, or explore a mid-18th century U.S. Army fort. These are just a few of the things to do in Graham, Texas, a quaint and delightful town nestled among lush tree-covered hills 90 minutes west of Fort Worth. Graham’s one-of-a-kind historic sites, museums, shops, and restaurants will keep you busy, while its three nearby lakes provide countless ways to enjoy nature. If you’re looking to escape to the great outdoors or for a quiet retreat from the stressful scramble of big city life, plan your next trip to Graham. Read on to see some of the top things to do in Graham to get the most out of your time here. At first glance, Graham’s downtown square looks just like any other here in the Lone Star State. Charming historic storefronts representing a wide variety of architectural styles line the square, and an impressive art deco-style courthouse towers over a verdant lawn at its center. Look around and you’ll see it just how huge the square is. At one mile in circumference, Graham’s downtown square is the largest in the entire country. Why is it so large? The streets were designed to be wide enough for a horse-drawn wagon to be able to turn around. You probably won’t see a wagon making a U-turn these days, but the square’s size accommodates an impressive number of things to see and do. If shopping is on your list of must-dos when you travel, it’s hard to beat Graham’s downtown square. Browse the boutique clothing stores for a special outfit, stop by Welch Western Wear for a cowboy hat or a fancy pair of boots, or check out the unique wares at an antique store. We all know shopping is hard work, so you’ll probably work up quite an appetite. Fortunately, there are several restaurants along the square so you don’t have to go far for a great meal. For a bit of history, wander to the center of the square to see the Courthouse Archway, a stone arch that was once part of Graham’s original 1884 courthouse. There’s also the Young County Veterans Memorial, a red-granite structure inscribed with the names of the 157 county residents who died serving their country since World War I, as well as 5,000 area veterans. Travel to the west side of the downtown square and you’ll find another relic: the National Theatre of Graham, the town’s first movie theater that opened its doors in 1919. Restored in 1980, the three-screen theater still shows first-run movies. 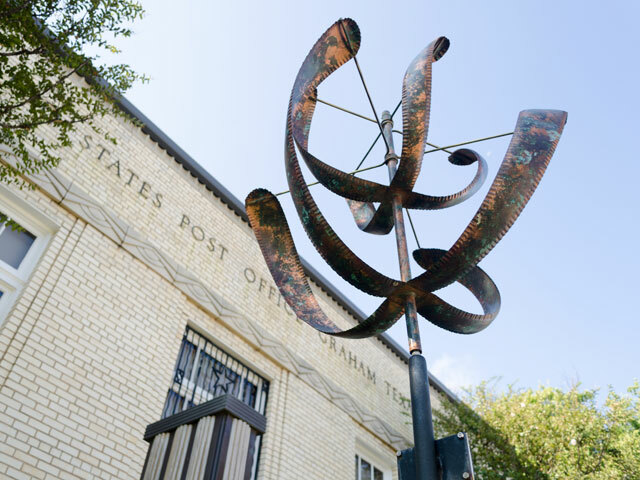 The Old Post Office Museum & Art Center is yet another attraction in downtown Graham that is a great place to get to know the town’s history. Check out the displays of military uniforms, photographs, and pottery in the permanent exhibit, or admire the paintings, sculptures, and other works in the art center. With so much to see and do, no visit to Graham is complete without spending some time in the downtown square. A trip to Fort Belknap is like stepping back in time to Texas’ frontier days. The fort was established in 1851 as part of a long chain of U.S. Army installations that stretched south to the Rio Grande. Until the Civil War, the troops stationed at the fort guarded roads and helped preserve the peace between settlers and the local Native American tribes. When you visit the fort, you’ll see stone-walled buildings that have been restored to their original glory. These include the barracks, powder magazine, and commissary that now serves as a museum. Period-style clothing, military equipment, photographs, and other historical items are on display within the museum, all of which helps tell the story of what life was like on the Texas frontier. What’s better than watching the newest Hollywood blockbuster with a cool drink in your hand and your sweetheart on your arm? Seeing it outdoors and under the stars, of course. That’s what you’ll get at the Graham Drive-In Theatre, one of only a handful of drive-in theaters still operating here in the Lone Star State. Bring your date, or your family, to the theater and make sure to get there early to scope out a good spot. You can even bring your own drinks and snacks, but why not indulge in this American movie going tradition and hit up the snack bar instead? Popcorn, hot dogs, hamburgers, and pulled pork sandwiches are always available, and you can even get a cup of hot cocoa in the winter. With food and drink in hand, you can settle in to watch a brand-new film on the state-of-the-art digital projector. Check the theater’s website for more information on upcoming shows. Although Graham has plenty to offer those seeking culture and history, it has just as great of an appeal for those who love the great outdoors. 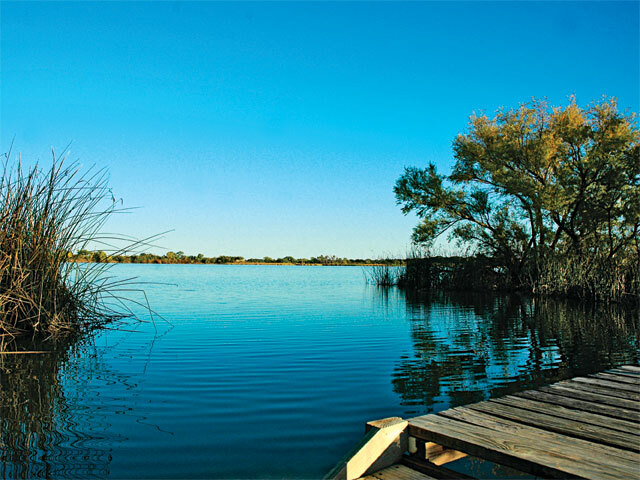 Travel just five miles north of Graham and you’ll be on the scenic shores of Lake Graham, a premier fishing destination. Bring your rod and tackle box and try your luck at wrangling catfish, crappie, white bass, and hybrid striped bass, all of which can be found in abundance. During the winter, cast a line in the equalization channel between Lake Graham and Eddleman and near the hot-water discharge, two areas that attract plenty of hybrid striped bass and white bass. There are two public boat ramps on Lake Graham that you can launch from, providing a gateway to exploring the lakes on your own water craft. Leap into refreshingly cool clear blue water, cruise past towering limestone cliffs on a motor boat, and hike scenic tree-shaded nature trails. These are a few of the adventures you’ll have at Possum Kingdom State Park, a sprawling haven for nature lovers that sits on the western side of the 20,000-acre Possum Kingdom Lake. Head to the scenic swimming area to play in the water, or you can even go scuba diving or snorkeling. Bring your pole and fish for largemouth, striped, and white bass or catfish, or do some wildlife watching. Extend your stay at the park by reserving one of the air-conditioned cabins that feature kitchens with ovens, or pitch a tent at one of the water and electricity, water-only, or primitive campsites. If you love spending time outside, then a visit to Possum Kingdom State Park is a must while you’re in Graham. Food trucks are all the craze these days, and it’s easy to see why. Many serve up creative and delicious cuisine that rivals anything you’d get at a traditional sit-in restaurant. In early June, Graham turns into a mecca for food truck lovers during the one-day Food Truck Championship of Texas. This annual event features dozens of food trucks from all across the Lone Star State who bring their A game in an effort to win a $10,000 grand prize, so you know you’ll get some tantalizing treats. Along with chowing down on all the awesome food, work up a sweat on the Possum Pedal Bike Ride or hang out in Graham’s downtown square and check out the displays of art crafted by Texas artisans. With a (hopefully) full belly, kick back on your lawn chair and end the day with a concert. Great food and plenty of family-friendly fun are served up at the Food Truck Championship of Texas, one of the many reasons to visit Graham.